Sixteen year old Jacob has long ceased believing his manic Grandfather’s farfetched tales about a childhood spent with ‘peculiar children’ and hunted by monstrous beings. But a traumatic experience has Jacob questioning his own sanity, and whether there was in fact some truth behind the old man’s fictions. Punctuated with genuine, thought provoking photographs, this novel has a unique pulling power. Unfortunately the story’s substance fails to equal the eerie intrigue or excitement that its images suggest, with an inconsistent narrative voice hindering the characterisation of its central figure. Peculiar children is an overly ambitious children’s novel, which unfortunately fails to translate for an adult audience. That’s a pity, wish they spent more time on the writing and less on the graphic design. Although I guess the cover is what sells. 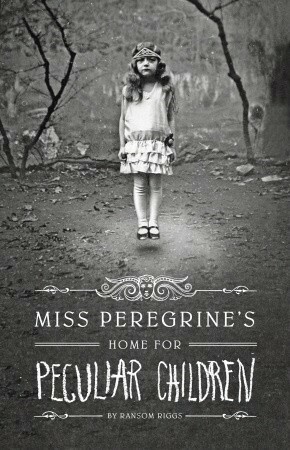 You are currently reading Miss Peregrine’s Home for Peculiar Children by Ransom Riggs (Book Review) at booksbeccabuys.